It was a short trip through Bosnia, although planned as one day it was extended to two when we got denied yet another border crossing at Arandelovo! It seems there are quite a few ‘locals only’ border crossings in and out of Bosnia. We had trouble finding any information on these so best to ask a local if you’re not sure. From Ivanica (the Croatia/Bosnia border) it was a fun smooth descent into Trebijne where we stocked up on food and had our fill of burek (cheese or meat pastry swirls). So good, but perhaps not the best fuel for cyclists as we were both starving again one hour later! We followed the river out of Trebijne, a beautiful road, which led to Arandelovo. We camped in the valley meadows before heading up to the international border at Kucista. 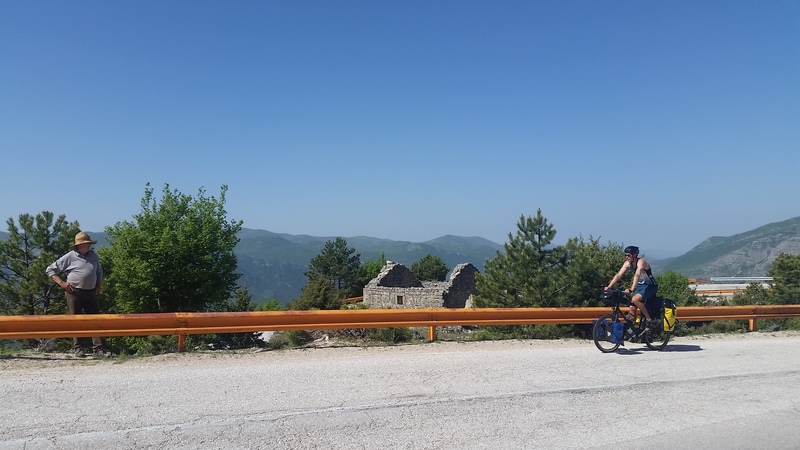 Perhaps it was a good thing we couldn’t leave Bosnia at Arandelovo as the road up was one of our favourite climbs all tour. A gradual incline, probably averaging 5% over 700m of ascent with stunning views down the valley and across to a Yosemite-like half dome outcrop of rock and the mountains beyond. About two thirds of the way up we were running low on water and so stopped to ask an old man laying some new lawn in his field next to a portacabin. Behind him was what looked like a very old train station. The man and his wife beckoned us over and got quite excited about the train station, pointing and saying repeatedly ‘Monika Belucci’. This meantnothing to us at the time so we nodded and smiled!! After a bit of googling later it looks like the train station was used in the film ‘Under the Milky Way’ starring famous Italian actress Monika Belucci. The ‘train station’ - still not sure whether this is old or was just built for the film ‘Under the Milky Way’. After politely declining a raki (it was 10:30am!) we continued up to the border crossing to enter Montenegro. It’s a much bigger crossing than expected and quite busy with trucks and minivans. Cycling past the queue (!) the crossing was a breeze. It was a shame not to spend more time in Bosnia. 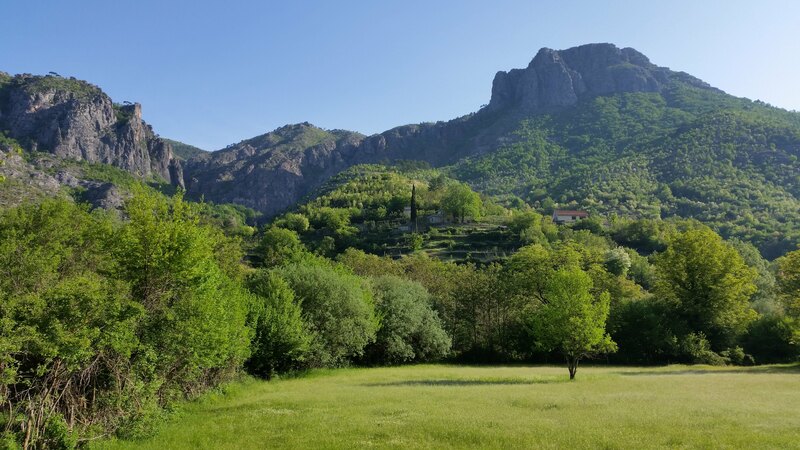 We past signs for a cycling route to Mostar which looked beautiful - perhaps another day!